As dividend growth investors, we are always looking for easy ways to invest as much as possible! Google “dividend investing products” and you will find countless apps and services to help get your investing proposition started, in order to reach financial freedom as soon as possible. Heck, that is how we stumbled on our app review of Robinhood, which is a “no trade fee” investing platform. One product that has gained a lot of publicity and is growing in popularity is the Acorns app. So what we decide to do? Hop on Acorns website, review the product, and put together a pros and cons list to help any potential users make a decision! Acorns is an investment App that allows users to “round up” their purchases and invest the spare change into various portfolio structures. After downloading the app on your phone, a user would link a bank account(s) to the app. Each day, the amount of spare change remaining after a purchase is calculated into your investment account with Acorns. You are then free to invest the spare change in any one of the investment products offered by Acorns. On their website, Acorns touts five different portfolio blends that investors can choose from based on the investors risk portfolio, ranging from conservative to aggressive. Within each bucket, Acorns has selected six ETFs to help investors achieve their desired investment strategy and displayed their respective asset allocations. The conservative option has a larger allocation of bonds while the aggressive option has more large cap and real estate stocks. 2019 Update – Acorns has expanded their product offerings. The company now offer Acorns Core, Acorns Later, and Acorns Spend. Here is a brief description from each account, per there website. For more information about each, here is the webpage that includes and informational video. Acorns Spend – A checking account and debit account, allowing users to invest while spending on purchases. Of course – a review wouldn’t be a review without the pros and cons. We are going to do a dig into the Acorns app on what we like/dislike and hopefully come to a grand conclusion. Let’s check out the nuts to the application. 1.) Low Fee Structure for Accounts Under $1 Million – We updated this from our initial posting of our article, as the fee structure has changed over the years. As of Feb. 2019, the fee structure is as follows and is relatively simple: $1/month for an Acorns Core account, $2/month for Acorns Core + Acorns Later, and $3/month for Acorns Core + Acorns Later + Acorns Spend. The fee structure remains true until investors have over $1 million in assets. Acorns is also only $1/month for College students. 2.) Can Invest Small Dollar Amounts Easily – Lanny wrote an article earlier in the year about why he is trying to invest only $3,000 or more with each purchase. One of the major deterrents to small dollar amount investments through brokerages is how quickly the trading fees will pile up. Since Acorns rounds up after each purchase, small dollar amounts can get invested relatively quickly. Of course, other apps like Robinhood have found ways to offer low-cost investment options. 3). App is Easy To Use – The design is sleek and very user friendly. It is easy to track the progress of your investments and review your investment options. A cool feature when selecting your investment options is that the app will easily project the market value and targeted income X number of years down the road based on which investment option you select. Acorns seems to strive to make the user experience as easy as possible. 4). No Minimum Deposit – The website touts that you can get started with as little as $5! Anyone can get started at any time. 1). Commissions for Accounts over $5,000 – Acorns’ fee structure increases once our account crosses $5,000. over this mark, the app charges you .25% on your over all account balance. For perspective, the fee for Lanny’s investment account of ~$180k would be $450 annually and Bert’s investment account of $70,000 would be $175. While this is lower than the fees for many mutual funds, there are many ETFs that charge investors lower fees. Coupled with the next con, .25% seems awfully high. Heck, the high fees are what drove Bert to sell his mutual funds in favor of individual stocks earlier in the year. [Feb. 2019 Update] Based on our discussion in the Pros section, the fees calculated based on a $5,000 threshold. It has been increased to $1 Million. 2). Lack of Investment Options – Part of the beauty of Acorns is the simplicity of the concept. Acorns prides itself on making investing easy for users and taking a lot of the stress of of the investment making decision. However, what if you don’t fit one of these risk profiles? What if you want to pick individual stocks? The app may not be the best fit for you. 3) Lack of Investment Account Options – Eureka! [Feb. 2019 Update] You are now able to have retirement accounts with Acorns – Roth, Traditional and SEP! This may be the alternative to Robinhood, where you can’t have a retirement account. Similar to Robinhood, Acorns only offers only taxable accounts to investors. There are no Roth IRA or other tax deferred account options for users. For those looking to maximize their Roth, you will need to look for another platform. Are we opening Acorns accounts immediately upon completion of this review…no. In our opinion for the type of investors we are, Acorns would not be a bad fit. The cons heavily outweigh the pros for us since we both have accounts over $5,000 and invest in individual stocks, [Feb 2019 Update] The updated fee structure significantly changes the cost cost of using the app. While $1/month for a traditional account is more than the Free Robinhood, it is not a significant fee. We do believe Acorns is a great app and investing platform for the right target audience. Student investors or beginning investors without a lot of disposable income would be a great fit for this app, since you can invest small dollar amounts and turn every day transactions into investments using the “Round Up” feature. Acorns is a great idea and can be a great tool to build a portfolio for the right individual. Have you used Acorns? If you haven’t, do you know anyone that has used the investing app? Are there any other Pros or Cons that we missed? What are your thoughts about our analysis? Are you signing up for the app after reading the review? This entry was posted in Investing Topics and tagged Acorns, apps, daily transactions, Dividend Income, investing apps, Life, Passive Income, Robinhood, Round Up, savings. Bookmark the permalink. ← March Dividend Income from YOU the Bloggers! I opened an account last year in April. So it’s my one year anniversary. I like the app and the concept. But to your point it’s not the type of investing we normally do. In one year, the app pulled close to $500 from my checking account. This happens is small amounts based on the number of transactions an account has. I use my debit card for pretty much everything so a lot of money was contributed. I only opened the account so I can write a post about the service. My plan was to close it afterwards, but $500 is a low amount that honestly I never miss. So, I plan on keeping the account open. Good deal and makes sense if you use a debit card transaction account. And you are right, you can keep it going for a few years before you would reach that $5K point. Do you receive dividends from it? If you withdraw funds from Acorns before reaching the $5000 threshold and then continue to rebuild the account, are the withdrawn funds still counted in the $5000 marker? Can I withdraw funds along the way to avoid reaching $5000? Money saved with an app like this is on top of whatever you spend. Cash back credit card programs actually reduce the total amount spent, which is way better. I have credit cards that I use for business expenses. I travel several times a month, so no issues getting points or cash back there. But for day to day buys, I use debit. My bank debit card offers points redeemable for gift cards, cash back, travel; so it’s the same as a credit card. Nice posts here. Most debit cards I see nowadays do have a built in reward feature that is used as well, so I can see IH’s point. And also – this is more of an automated way that helps you save and invest without even “feeling” it. Eh? Fair enough. I didn’t realize that debit cards with rewards programs were that common. I’ve been at the same bank (Capital One…ING before it got bought) for a long time so I guess I’m out of the loop on what you can get with debit cards these days. Not changing anytime soon though. I like how I can access my checking, savings, taxable brokerage, IRA and credit card accounts all on one interface. I don’t like cards that pay in points though. I don’t trust the bank to give me a fair or consistent market value for my “points” or “miles” or any imaginary currency other than US dollars. Are they consistent? Like is 10,000 points equal to $100 cash back or a $100 gift card or $100 worth of a flight to Cancun? Seems to me all it does is add a layer of complexity to obfuscate the actual value of the reward and pigeon hole me into spending it in specific places. According to the website (reference below – answer found in the 2nd answered question on the FAQ page), you can connect a credit card to your Acorns account. Double the rewards! Add your credit cards ! This is sound advice people! Acorns just isn’t worth it. CC cashback or rewards is MUCH more rewarding. For the record, I have LOST money in Acorns. Even if I’d have made some, it wouldn’t compare to the savings from cashback or reward programs from nearly ANY CC. Whats more worth it it? More details please. Phillip I have made about 600$ in 9 Months on Acorns 101$ in dividends alone and 500$ in stock growth. Of the 4 general investments I am gaining over 12% in 2 7% in one and losing 1.23% in the last so averaging at a minimum 30% growth. I don’t know what you invested or for how long but its not a short term investment. Ronnie I am curious, what portfolio you have for acorns? I recently signed up and it suggested the moderately aggressive. Thanks for review things, it’s a very cool idea. They have come to Australia as well. I think it’s nice for people who don’t really know much about investing..and then they clonk you with extra fees because that person still doesn’t know much about investing after they pass the limit. We will always be individual stock pickers, fees aren’t any DGI’s friend. If something like this came out for individual stocks..that would be a strong app. That first sentence was meant to say “Thanks for reviewing this”, autocorrect did not do well there. Thanks for the review. Seems like something that is nice to know about, but not for me similar to Robinhood. One of the huge drawbacks of RH is that you cannot transfer the actual assets out. If I had 10 shares of JNJ in RH and I wanted to move them to another account you have to sell then move the cash. That is doubly bad as it ill incur fees and taxes. It hurts flexibility, and it could be a problem down the road if a brokerage itself has issues. Also that fee pyramid Acorn has seems strange to say the best of it. Thanks for stopping by and the comment! I didn’t realize that Robinhood had that feature. So you are forced to take a gain when selling your stock and transfer the cash out. That’s a huge deal to me considering the accounts are all taxable at the moment. Wow, that’s abig development, thanks for sharing. I hate Acorns’ fee structure and that is a huge drawback to me. I have too much invested in the market for that fee structure to be beneficial. I would rather find an ETF that I can hand pick with a cheaper expense ratio than be forced to pay .25% and have to invest in one of their six options. If it encourages someone to invest who otherwise wouldn’t then it’s probably a good thing. But it’s expensive to start, with high fees on the first couple of thousand, so it’d be better to either put more in a 401-k plan, or use something like Bank of America’s’Keep the Change program to save the money and then invest. The ETFs they buy for you have Expense Ratios from 0.05% to 0.15% whereas they charge 0.25%. But their 0.25% fees are on top of the ETF fees, so you’d really be paying $210 in addition to the $450 fees that you listed from Bert’s $180K portfolio. Thanks for updating the calc. Didn’t realie the ETF fees would still apply to the investment. I made an assumption that the .25% fee covered the fees of investing in the ETFs. Double fees….nah, no thank you. But would your credit card company charge the cash fee. Those can be minimum of $5. So for every under $1 transaction your credit card could charge you a $5 fee. Definitely would recommend checking with credit card companies. Not to forget are they considered local or international charges. Hey, thanks so much for the review! Super informative. Do you by chance know anything about Ustocktrade? I am trying to make a decision whether to go with them or RH, any help will be awesome. No problem – I do not know about Ustock trade, want us to review? I do know that Robinhood has a great interface, but the delays can be tough with transfers, as well as no DRIP feature. What is your biggest request that you need from a platform? One con that I believe you missed is that $1 fee. I am testing the app out to write a review on my blog soon and have realized this fee can be significant for the average person. Most people think $1 is nothing but from an investment standpoint it can be significant. Say the average person accrues $25 worth of deposits with the app in a month (which I think is very realistic), that $1 fee represents a 4% fee. That is pretty high and overlooked by many. Yes the gains, hopefully, in the portfolio may offset this fee but I would argue it is quite high for the average. Would love to hear your thoughts on this! Except that in the 2nd and 3rd months its much less than that and after a year if you have 250 bucks its…. well there you go. New to Acorns loved the critique. I’m a student investor without a lot of capital (which appears to be Acorns’ target audience), and I’m considering downloading the app myself. My motivation for this is mostly due to the ability to invest small dollar amounts easily without transaction fees. However, I’m concerned that the ETF options might not be as competitive as those offered through the market – and I won’t have as much flexibility when managing my funds. Have you seen any comparisons that show how this app competes with other funds? I’d love to hear any insights! Same with standard student, any thoughts? I opened up an account with Acorns at the beginning of May 2016. When I heard about the app through a radio commercial I believe I thought… this could be the perfect way to save for our Disney vacation April 2017 without ‘feeling it’ as was mentioned previously. The wife and I use our debit cards often. Between the two of us we are averaging a little more than $100 per month. However, I didn’t feel that was quite enough, so after a couple weeks in I added the option of a reoccurring weekly deposit of $25. A couple weeks ago I changed it to $32 per week. Today (08/28/16) we are close to being on target of my goal of $3,000 by mid April. As of today the value in my Acorns account is $797. Overall the investments have me up about $24… minus the $4 in monthly fees ($1 a month) and I’m up $20 overall. Even if I didn’t make any money, I still find this a way to save money without really noticing it. For those of you who don’t know how it works… each time you use a connected debit car it rounds up… if the charge at the store is $20… it rounds up a full $1… IF you have it set up that way. You can change how much you want it to round up. It also doesn’t round up or take the money out of your checking account until it gets to at least $5.00. Most of our withdrawals from our account into Acorns are $5.75 to $9.00… however with the weekly reoccurring investment sometimes it takes out $32 + whatever hasn’t hit the $5 mark yet… so it could potentially be $37. No big deal. So there are plenty of options to tailor it to your needs. I have not withdrawn money from the account yet, but it says to give it 5-7 business days to receive the funds as they have to sell stocks. So far I like the app. I’ll follow up closer to our Disney trip in April 2017. Very nice, interesting and I think you hit it on the head – it helps you save in an easier fashion. Keep us updated for the Disney Trip! Great review! I’ve wondered about using Acorns. Your review confirms what I thought: I’m not the ideal demographic for the app, but I think it’s terrific for beginning investors. So, for a “beginning investor”, who has never saved anywhere other than my savings account through my bank, what should I know? I mean, what is your basic advice on how to start investing in my future, other than using Acorns. Because at this rate, there is no retirement plan. Or money for it. None. My advice for starting to invest in your future is to take advantage of your company’s 401(k)/403(b) match, as this is free money. It’s very important to learn about investing and to do so continually. I recommend the Bogleheads wiki as a starting place. It sounds, though, that more fundamental questions in your financial life may need to be answered or clarified. You say that there is no money for retirement investing. Does this mean you use every single penny of our income? If you truly need to use all of your income for necessities, you need to increase your income. If some of your income is used for wants/luxuries, you can reduce these in order to increase cash you have for investing. If you have general questions about personal finance, a terrific starting place is The Millionaire Next Door by Thomas Stanley. Hope that helps. So i have been investing with Acorns since the beginning of August 2016 and i have lost roughly 11$ so far through this way of investing. I am depositing about 110$ a month into the account, This is my first venture into investing and while i am losing money at the moment i feel like it is going to turn around so i keep putting money into the fund. Is this the right move or should i take my small amount of investment and put it somewhere else? I don’t think they’re trying to be the most prudent investment avenue. I think they are saying, “hey, take the change left over from your purchases and put it in this novel account and watch what happens over time”. That’s, at least, how it spoke to me. It’s just kind of fun. I’ve been using Acorns in Australia for about 10 months. I’m not a Millennial, but I also don’t have a lot of experience in investments, so it has been a great way to redirect money I don’t even miss into investments. I guess it’s indicative of my attitude to money (not always healthy for my financial position ;)) but I don’t really get the drama over the fees (very small in the scheme of things) and of course you could get a better return somewhere else. The return will be small on a small investment over a short period of time. It’s fun, there *is* a return, you learn about making investments, and over time, one day you may have enough to start a managed fund or invest directly in shares. A year ago, if anyone had told me I would put 900 bucks away in an investment account and let it grow for ten months, I would have called them crazypants! Yet, that is precisely what I’ve done. That wouldn’t have happened any other way than leaking out of my bank account on a daily basis. It certainly wouldn’t have happened had I been using a credit card with points or without. Your story is one of the major benefits of Acorns. The app helped someone who wouldn’t typically invest get started, save, and more importantly, begin investing for the future. 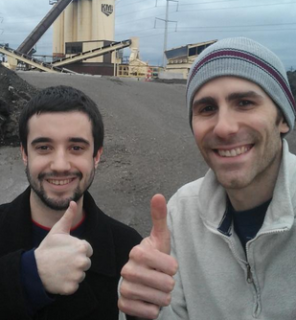 The app is a huge success if it helps accomplish this feat, so congrats on getting it started and already saving $900! The issue with fees is that high percentages can eat away at your returns quickly. Sure they may seem small, but multiple percents adds up over time. A few percentage points on over ten thousand dollars , for example, is WAY more than opening an account with a brokerage such as Capital One that charges $6.95 per trade. There, you could buy into a mutual fund or etf with a tiny fee (.25% for example) and only pay the trading fee versus several percentage on a large investment. Does that make sense?? In the end though, whats really important is that you are saving and building for the future. If you wouldn’t do it without Acorns, then darn it, stick with Acorns!! Hello I’ve been wondering if this app would be for me, I have a budget income for my family and i like the idea of investing money for benefit. I have absolutely no idea how investing works and I really can’t afford to loose money. is this a good idea for my situation? We could definitely help as well to get you started or to really work together – you can message us at any time using our name at gmail.com. This app could be beneficial, as it saves automatically for you and you can have it operate without you thinking of it. However, a lot can be dependent on how much you have within the budget to use. If it helps you save, invest & grow your earnings overtime – then heck yes! If you want a more full-blown assistance, definitely reach out to us, that’s what we are here for!!! No one is bringing up tax, do these companies send and submit your tax info for dividends, or is this a nightmare? From what I could “imagine” – is they would provide you a 1099-div statement as it relates to dividends or 1099-A from sold securities that are received. I almost sure of it. If the $5K threshold is in question as far as fees, for those of us who aren’t at that point or even close to it, would it be a good idea to start with something like Acorn? I mean we could use it to learn, invest small amounts until we get to that point, cash out and then start the “big money” investing? My investing experiences consist of putting money in a low risk TSP fund and that’s it. I like the idea of the extra change working for you. This is exactly what i am using it for, i only have a few hundred dollars disposable over the course of my month, but i am going to put a bit in the acorns acct and use my debit as i regularly do until i have about 5,000 then switch that cash to another investment avenue and start over. It is a great tool for beginning investors. That was one of the points we tried to drive home. The two of us have portfolios in excess of $5k. Therefore, for us, this would be too expensive of a platform. However, for those who are looking to get started, apps such as Acorns and Robinhood are great tools. I’m all on board with anything that gets people started with investing! I am a 43year old male who has never invested and knows nothing about it but wants to start. I have read a lot of reviews, comparisons, etc on Acorns and on Betterment. If I can afford $100 a month into Betterment for the long haul but also use Acorns to save up to a certain point for short term goals, would that be wise? Making 2% a month of investment in Acorns (as per investor example above) doesn’t seem appealing to me. My small investment amount (managed account) gives me 20% a month. Thanks for the comment. where does the 2% come from again? Thank you, appreciate it! I love this app!!! You can save money without even knowing it. This is the best app ever 🙂 it’s easy to join. If you view Acorns as a savings account rather than an investment vehicle it is a great way to go. It is like putting your pocket change in a jar on your dresser each night and getting interest. I have earned close to a 5%return this past year and saved $500. I’ve had it set up for nearly a year, and I’m quite happy with it. You link acorns to a spending account, i.e an account you use to spend money, this is the account acorns use to determine the round ups, which can also be a credit card, so if you get point and cash back ect you can still have that benifit as well. I also add $100 per week on top of the round ups. As for returns, with dividends and capital gain I’ve made just over $350. As for those complaining about losing money, well it’s the same as shares you buy high and sell low you’re going to loose money, and your probably not much of an investor. As to whether it’s a good investment, like any investment opportunity, it depends on your current circumstances, and your objectives. I look at it as an alternative to a term deposit. It’s where I’m stashing my cash until i get the balance up to around 10k, then I’ll start pulling money out to invest elsewhere, then I’ll top it back up again. Why keep the ballance at 10k, more capital gain, making it easier to get the balance back up again. Of course unlike a term deposit does come with more risk, but again don’t sell low, it will bounce back eventually. Did Acorns provide you with tax documentation (1099-A) to report your dividends/capital gains? One of the cons I have read is reporting capital gains to the IRS. Care to share your experience? Thanks! yes they just sent me mine this week! I have a credit union that pays me 4% for checking. I have a 401k, profit sharing, buy stocks and now I have a Acorn account. I like it. I look at it like this. I link my debit card from my checking to the account. Im rotating the 4% I earn from my checking into my acorn account. Thats my angle. I have never invested nor do i really understand how. I am thinking this would be a good starting point. Is there fews to take your money our? Sandy – don’t believe so, just capital gains taxation if you sell/remove at a gain! I have had my account since January 2016. I have a gain / loss of + 4.23. I only invest 10.00 a month plus round ups. Pretty small. I would hope for more but it’s fluctuated a lot with the election and all. Dividends payments have slowed down for some reason. Going to keep it going for a little while longer and see what happens. I do like the round up option as I don’t really notice the money being invested. 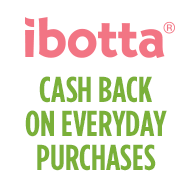 I like the adding of credit cards with cash back. I’m a big believer in the cash back cards. I downloaded Acorns at the start of the new year. I am a student with a part time job. I don’t have that much invested from round ups but I do take a sizable percentage of my paycheck and put it into the account. For me, it works perfectly. I am very busy between school, work and extracurriculars. I don’t have much free time to play an active role in my investments. So for a passive thing type of thing, with not a ton of capital it makes a lot of sense. I’m thinking of it as a slightly more exciting savings account. I do however see myself moving away from the app once I have more invested/more time to play an active role. I’m actually kind of excited about it. Heard it on the radio like most of you guys so thought I would give it a shot. Have about 100k in my 401K ( i’m older, 45 ) as well as a good savings / checking account. I pay everything on my credit card and pay it off every week, as my son lives in Portland and I in California ( until I can find a job to move closer to him ) and use the miles to subsidize flight costs. I don’t live a lavish lifestyle, and am always looking at avenues to save. I have zero clue about the stock market, but as others have stated, I like the idea of getting the balance up around 5K, then moving it to something else. I have a higher yield bank account I started for my son 6 months before he was born. He’s 2 1/2 right now and I have about $9300 in it for him now. I just keep a steady stream of $150 a month going in and when tax time hits, I put a big chunk in for him as well. 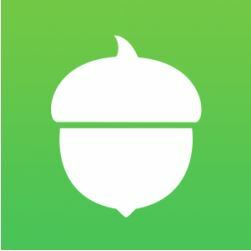 With Acorn, my goal is to make some smaller investments and roundups, and once it starts to grow, withdraw and place the money into my sons account. My goal is to have $50,000 by the time he graduates, so I have been looking at a lot of DIY avenues. Plus I like learning about stuff like this. Fresh investor here yall. what do you all think about binary trading? Specifically binarymate.com? They never sold the stocks to take the profit and go they use our money for long time investment and they are the only one who make money.I invest $25.000 and in one year i make $ 200 …..is nothing . I signed up with acorns almost 4 months ago. My account value is $513.35 and the total amount I have invested is $509.15. My total gains is $3.13 ( that’s minus the $1.00 fee) I’ve been paid $1.38 in dividends and $1.03 in found money. I do the automatic round ups and $20 a month recurring, plus any time I have extra money I throw it In there. This is by no means my retirement plan but it’s a great way to save money! That’s over $500 in less than 4 months that I’ve saved….so easy! You don’t even miss the money! Bottom line …This app makes it easy to save without touching it or even “feeling” like your investing! All these people talking about a 1$ fee every month or few bucks here and there, seriously!? I am glad to pay Acorns that 1$ to basically be an extra “piggy bank” to save a few extra hundred or few extra thousand $$ for a rainy day..trip..or just another nest egg for retirement. I would not recommend this as your only investing or savings platform, however, as another aside from your 401k or other investments why not ..try it. The best part of it is it makes you see how far spare change can go. Kinda fun. I know this is an old post but all these negative comments are silly. I get its a $1 a month fee. So after 29 months i have paid…this is a hard one…$29. Looking at my results..I have $119.95 in dividends. $119.95-$29.00 = $90.95. Now factor in the actual market gains…After today’s closing bell you can add another $548.36. Which for me currently translates to a +13% return overall. Yee haw. The key is keep building. Keep adding. As your balance increases…the fee’s % drops. Its now tiny for me. The question that’s legit is if it’s worth it once you cross the $5K plateau…which i am getting very close to. Anyone want to comment on that? I use acorns strictly as a savings account. I have always been bad with money but thanks to this app I have saved over 960 dollars in 2 months. It really is changing my life as I have never been capable of saving. At this rate, that I should be able to keep up easily, I estimate I will have 13k by years end. I am deadly worried about something happening in the market and my account dropping to zero. Is this fear realistic? What would an estimated worse case scenario be if there is a horrific crash in the market? I don’t mind losing money, but if I keep putting cash in as a holding / savings account, can I lose it all? This is why I tell my readers to treat Acorns for what it is. It’s a good investment option for people who don’t plan on putting any thought into their finances in the near future. But with a little work, you can easily outperform Acorns. Realistically, the amount you can save from round-ups in a year is not even as much as you should be investing in a month. My review on my website was fairly scathing for that reason. My readers can and should do better than that. But if you’re one of the people who wants to see some sort of monetary gain without putting any effort into your finances, it is a fantastic product. Also, they have the cash back feature on there which is just delightful and you should probs use that even if you don’t use Acorns to invest.